Start-ups could bear the brunt of the impact from President Trumps' executive order reforming the H-1B high-skilled visa program. What we're hearing: Startups already have a tough time accessing the current lottery system because their small number of visa applications are dwarfed by the high volume filed by bigger firms. But new direction toward a merit-based system favoring higher salaries will also be detrimental to startups, according to some entrepreneurs, investors and immigration attorneys. 1. Foreign-born founders will have a harder time getting visas to start companies in the U.S.
"Immigrants and startups are inextricably linked," said National Venture Capital Association CEO Bobby Franklin, noting the founders of iconic companies like eBay, Google, Intel, Tesla and LinkedIn are foreign-born. Vivek Ravisanker, CEO of developer hiring site HackerRank, came to the U.S. on an H-1B visa after landing a spot in the YCombinator incubator program. He now has a green card, but his business partner was denied a visa, so they have to operate the company jointly from the U.S. and India. 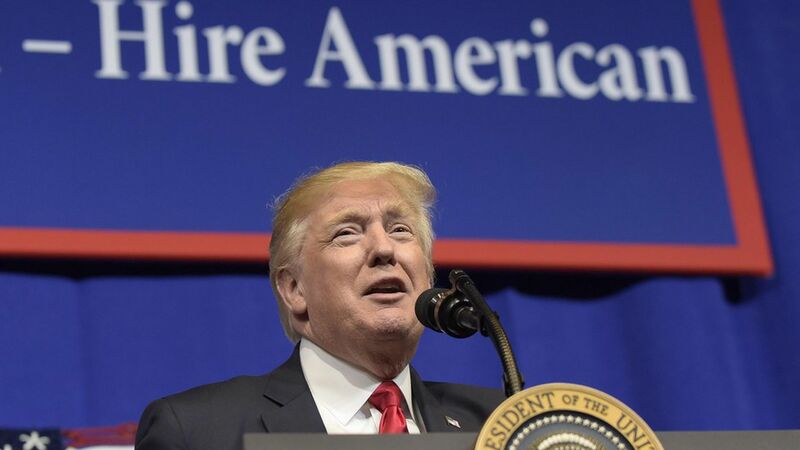 "Companies will now have access to fewer talented immigrants worldwide, which could further exacerbate the skills gap that the H-1B visa serves to help fill," he told Axios. 2. Start-ups will head to other countries instead. Reaz Jafri, head of the global immigration practice at the law firm Withers Bergman, said some of his start-up clients are opting to head back to their home countries to start their companies. "For foreigners, the most stressful part of being an entrepreneur is not funding, not ideas, not access to technology — it's immigration," Jafri said. "Our loss will be other countries' gain." 3. Investors will also go abroad. Kate Mitchell, co-founder and partner at Scale Venture Partners, said the new H-1B restrictions would limit her firm's investment opportunities. "A huge number of founders in Silicon Valley are immigrants," she said. "If the U.S. turns away foreign-born entrepreneurs, VCs will need to look for investment opportunities abroad." 4. Raising the salary requirements will hurt startups more than big tech firms. "Any attempt to raise the minimum salary for H-1B workers would have, in my opinion, a serious negative consequence to startups," Jafri said. "They don't have unlimited funds but they do need talent —and not all of it is American." Startups often compensate employees at least partly in equity and don't have as much cash on hand for salaries, says NVCA's Franklin.